Sending out email campaigns in one of the primary uses of Automations. 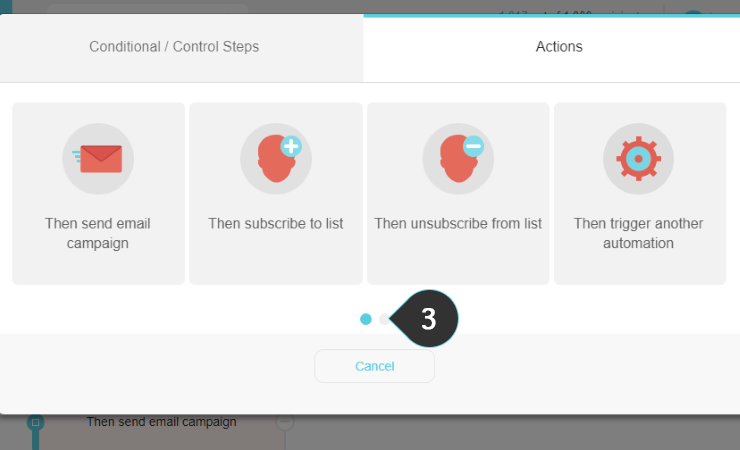 Moosend's different types of Actions open up your automation workflow designs to numerous applications, but reaching out to your subscribers is what Email marketing is all about! 1. Click on the + button, located at every intersection on your workflow. 2. Choose the Actions tab, on the pop-up that appears. 3. 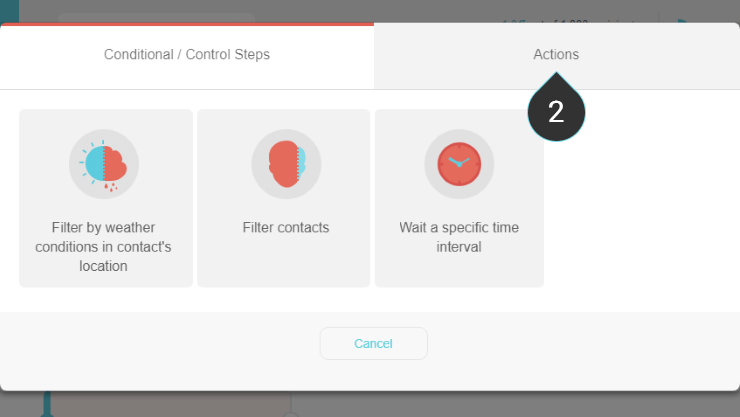 Click on the gray dot to navigate between pages of available actions. 4. Click on the Then send email campaign option. 1. Fill-in the Subject of the email you're going to send. 2. Choose the Sender of the email from the drop-down menu. 3. Choose the campaign content. You have two options here. The first option is to create a simple HTML message by using the HTML editor. The other option is to fetch the content from an existing campaign. You need to have a readily available design to use here, but in case you haven't made one you can always design one using the Moosend Editor and return here to add it afterwards. The available task list will remind you that this step hasn't been completed yet. 4. 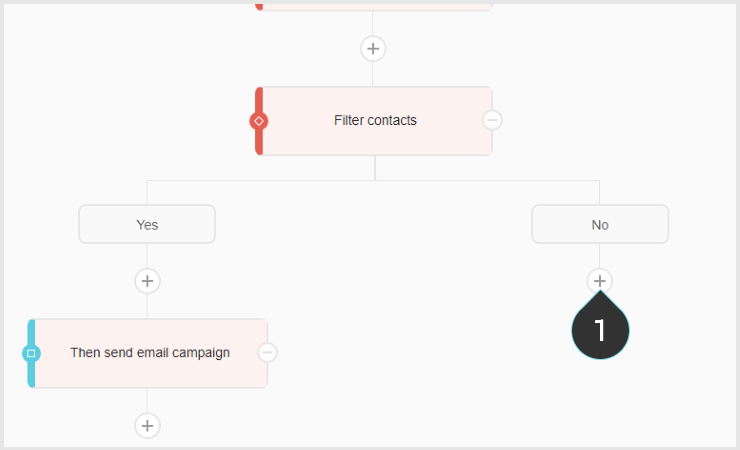 Select the maximum number of emails sent by this action, per day, from the drop-down menu. Click on the Action step to edit its parameters. Click twice on the " - " symbol on the right side of your Action to remove it from your automation. It's highly advised that you take a look on how to edit your automation workflow, so that you make sure your automation design works exactly how you want it to!